Hello peoples, my name is Ludwig Withamustach and I'm here today to teach you the basics of the Nashville Number System, NNS for short. The Nashville Number System, is a system used in most recording studios, that replaces the chord symbols with numbers. The number 1 represents the key note that you song is in. So if you're playing a sing in A, than 1 represent A. If you're playing in Bb, than 1 represents Bb, and so on and so forth. It's really quite simple. Lets say we're gonna play Pink Floyd's Comfortably Numb in the key of D.
You get it? Hmm, still a little cloudy... This should clear things up. Yes, I know the first 5 is in the wrong place. 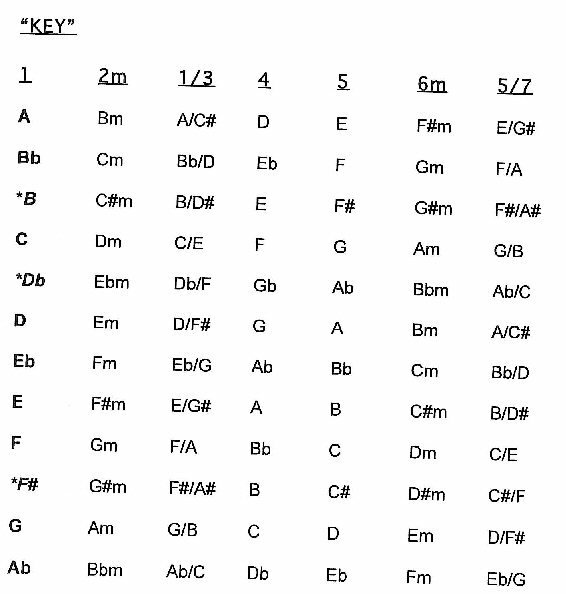 These are the key signatures for each key. Now, lets say you have a chord that is a 7th. How would that be shown. Say that 4 in the key you're playin in is a 7th. 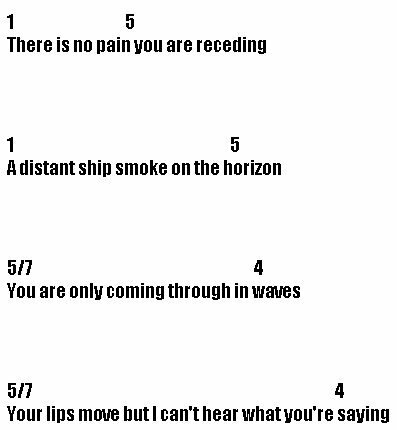 It will just say 4maj7 or 4m7, it could even say 4dim or any of the other variations. So, now does ya' understand? Goot! Tune in nextime for another episode of Ludwig Withamustache! This teaches while you read your music. Good idea. What happens if you got a 7th cord? You mean like a D7? The chord progressions that each number represents, like if there's a seventh chord, a maj7 or m7 ect. will be added to it. I Went and added a part about that to the lesson. Props for pointing that out nullnaught.